It was SOOOO bad…The ultimate skeptic. “You need to see this!”… and she’d come back with “don’t try to tell me what I need to be doing! She watched me work it pretty hard in the beginning, with no real training, support or ninja social media skills. How am I going to make this work? I finally snapped… and decided I was gonna make it if I died trying, with or without my wife — (but I wasn’t gonna give up on my evil little plan to get her into this business with me sooner or later either, lol! So if you’re like us, you’ve been told it’s all about “hard work” and “Massive Action”! And if you’ve already had your own home business, maybe you’ve you also gone to the events, prospected the low-caliber prospects, followed up with the dead-beat tire-kickers, and tried to drag the dead bodies hoping they’re gonna “get it” and be a go-getter like you? A few years can go by pretty fast, can’t it? Sooner or later you’ll snap and go on a mission to find solutions to achieve that higher level of living. I really to find out how to think like a business owner and use social media have people come to us, but we had to learn some real marketing skills! A better strategy is what caught Mari’s attention and it literally changed the way we looked about building our business forever. Now, like us, this may be different from what your up-line told you, and they will quickly question you, but as you’ll see, it works. First, make sure not to fall back in line before you form your own opinion, because most leaders change their view after they understand how this “Attraction Marketing” really works for everyone. …and after this, you’re gonna have your leaders coming to you for answers, because today’s Network Marketing world has changed. As an entrepreneur you’re always looking for the best way to build your business, constantly searching to find the “missing ingredients”. You see, the most important part of your business… is YOU. Now if your up-line mentor built their business 5 or 10 years ago and had success using all of the old school recruiting methods because they are a super extravert, then from their perspective, the (one-by-one) methods work the “best”. c) You’re helping other people in your team do the same exact thing, fast. We are only interested in proven customers who are interested in what you have. The way Mari figured out, using her personal profile, (which is highly duplicable):We call them “referral” posts — where you ask your FB friend if they would be open to post on their personal profile for you, and if you sell anything from their post, they get a free ____ or ____! Getting people to post on their personal Facebook profiles allows you to get to their network and hit more numbers. You’re able to “sift and sort” to find the happy customers who want what you’re selling. The way I personally do it is by using a Facebook business page – (which allows me to target entrepreneurs who are ALREADY INTERESTED in what I have to offer).This way you can get your information in front of the perfect audience! Can you imagine what it would mean for your business if you serious high-caliber business-minded people contact YOU to ask for more info on your product or service? You will NEVER have to chase people down or try to convince them into your business when you do this right. We all know how annoying “spammy” stuff on Facebook is, and this is what most of your customers and best prospects will avoid. The problem is, most newbie networkers haven’t studied a ton of marketing so they accidentally pitch their product with spammy Facebook posts. Instead, we discovered a better way of posting interesting stories about what happened after you got the benefits of using the product/business/services. Also, we attract motivated (qualified) entrepreneurs by demonstrating our value and leadership, and you can do this all with the most effective attraction marketing. In fact, in the past 3 weeks alone, we’ve had over 60 people COME to US and ask for more information on what we have to offer. This is a lot different than messaging uninterested skeptics (one-by-one), ain’t it? “People don’t sign up with your company – they sign up with YOU”. They sign up with you because you’re VALUABLE to them! They’ll want to do whatever you’re doing, no matter what it is, because they know you can help them. Ultimately, you want to be branded as the person who has the solutions for what they want. I’m not sure where you are with your business, but personally, I was burned out on being on the phone all the time, head-down in social media, 3-way calling and chatting, and dragging “dead” bodies. The “follow-up” takes forever, and selling or convincing un-qualified skeptics is not very fun in today’s network marketing game. So we set up a simple system using our secret Facebook GROUPS with testimonies and case study videos that tell the success stories, results and follow-up with our prospects by notifying them every time we go LIVE with another success story! We also have a training group and we use the new “UNITS” section to walk all the brand new distributors, step-by-step, through our system, with a quick consult in between each step. The dough is in the details! These systems have saved us a TON of time, and now we only jump on messenger with someone if they are already qualified, already purchased something, and/or ready to join our business. But to work more efficiently, you must start positioning yourself with as much credibility as possible, so you can attract more high-caliber go-getting entrepreneurs. I know you’ve heard this, but people only buy from people they KNOW, LIKE, and TRUST. This why discovering how to build your own personal brand is important. It’s why the pharmaceutical drug companies hire the well known actors and actresses in for their commercials. People know their face. They know, like and trust them. So if you’re a network marketer, (or ANY marketer), you must differentiate yourself from all of the others with the same product out there. If you’re branded as the credible expert, the sales and recruits attract almost effortlessly, and you’ll get bigger better results. If you want to take it even further, a simple blog will help build a community, and a you’ll build reputation that will follow you, anywhere you go, and no matter what happens to any company you’re promoting. Your network marketing company is one vehicle you’re using, but shouldn’t be your whole business. Your email list is it’s own online distribution channel, which will always bring sales and recruits into your business. Yeah, here’s the “hard” part for some to wrap their head around. Think of how many people have said “no” to you. One of the greatest personal breakthroughs you will ever have is when you find out how to generate multiple streams of income, even when people say “no” to your primary MLM business. I actually used to take it personal when someone didn’t think that my (mlm) idea was the best thing they’d ever seen in their life, lol! So now imagine simply helping other entrepreneurs build their business and adding value by guiding them to a system that will teach them how to build their business online. You can still help them get what they want, with no agenda, and get paid to do it! As you provide the solutions for most entrepreneur’s biggest frustrations and needs, you will become a leader of leaders in the industry, helping others break through to the next level in their business. Our income skyrocketed when we were able to benefit from the fact that most of the people might say “NO” to our primary opportunity, but most entrepreneurs will say “YES” to a tool/service that will help them generate more leads and customers for their own business. Also, if anything happens to their primary business or they’re not getting the support/training they need, they usually come back to learn more about you, because you’re now their virtual coach. You’ve built trust by being extremely valuable to them. Sooner or later, we all realize, it’s not a product or service that can get you everything you want in your life. It’s a person that can mentor/teach you how to make a real 6 or 7-figure income. Networking Marketing professionals understand that their goal is not to simply build a down-line or home business. It’s to brand yourself and build a professional business that has solutions and serves an entire industry. When what you have created has influenced many entrepreneurs, not only can you build an explosive organization and a financial legacy, but you can be a visionary that other leaders want to connect and venture with. We created an extraordinary lifestyle for ourselves (where we get to be home with our baby son every day) and we became top earners in the industry, simply by having good groups, a blog, and leveraging with Facebook pages! But instead attracting only high-caliber self-starting entrepreneurs, simply by solving problems and adding value. You will attract thousands of entrepreneurial professionals to your email list, and generate tens or even hundreds of leads and customers, every single week. 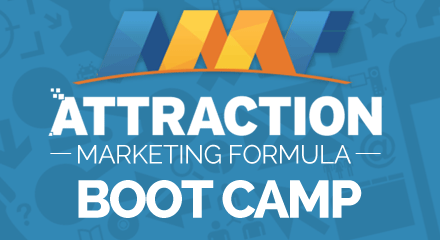 Our friend Ferny has a blueprint for all of this is outlined inside in his 10-Day Social Ninja Recruiting Series, which will teach you the power of ‘Attraction Marketing’, and is specific to your needs if you’re a Network Marketer. Of course, it might be a good fit for you, or you may have more luck building the old way. (Hey it happens!) heehee! Hurry and grab the information by pressing HERE, to go to the next page, because you want to learn this before everyone else catches on! And if what you are doing right now is working great for you, then don’t change it! That is awesome! With enough effort and commitment, it all works 100%! These strategies are not just for you but your team, so you can build a solid organization of hard-hitting social media recruiters. Every person you will personally sponsor could mean another 3000-5000 people in depth. Feel free to share this post with your team or on Facebook, and please comment. We can’t wait to hear about your results! The World Is Yours, Marco and Mari! What kind of company is it and what is the product? I am disabled and would love to make money to help our family financially. We want to move to Florida but we can’t because we have 000 extra money. I can’t even buy our kids or my husband Any Christmas presents because we only have enough money each month to pay the bills, rent and buy food and gas. I don’t even have enough to pay the minimum amount on our credit card. Please tell me you can help.